The average home has 12 to 15 window screens. Giving them your attention now and then can save you money, ensure better views and keep bugs out. Experts recommend washing all of your screens twice a year to get rid of grime. That is important whether they are made of aluminum or fiberglass with a vinyl coating. 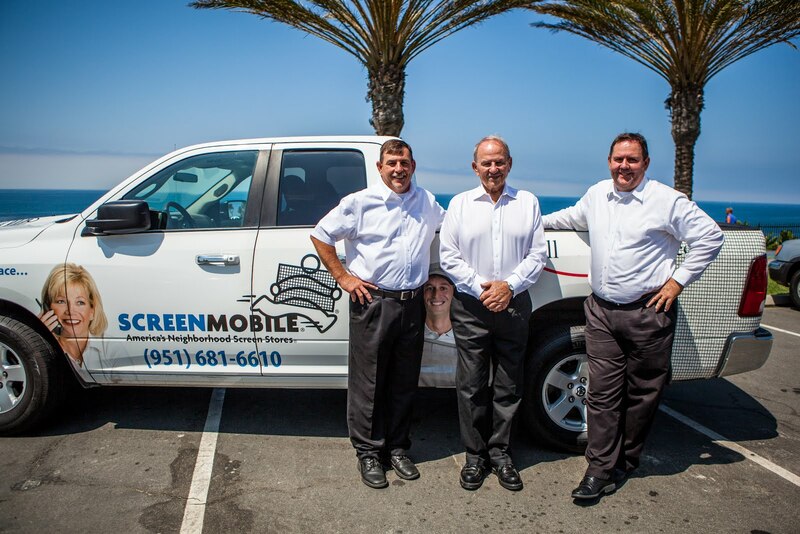 “If you think of them as a filter, you wouldn’t want to breathe all the dust and the dirt that builds up,” said Scott Walker, president and owner of Screenmobile, a mobile window and door screening company with close to 100 locations throughout the country. The easiest way to start is by marking screens so you’ll remember which window they fit, said Colleen Maiura, a spokeswoman with Lowe’s Home Improvement stores. Use a marker or a small piece of tape that’s strong enough not to be washed away by the garden hose. Maiura suggests a cleaning solution of 1 cup ammonia, 3 cups water and a squirt of dish detergent. Lay the screens on a flat surface, thoroughly wet them with a hose and use a squirt bottle to apply the cleaning mix. Leave it on for about 10 minutes, use a soft-bristled brush to remove stubborn grime, then rinse. Don’t scrub aluminum screens too hard; you could dent them. Maiura suggests shaking screens to remove excess water. If you have fiberglass ones, you can gently snap them with a towel to send water drops flying and prevent hard water stains. If you pay someone to wash your windows, it’s a good idea to inspect the screens beforehand. That way you won’t blame washers for tears already there, and you can ask them to pay for any damages that occur during their work. Repairs for a reasonThe point of having window screens is to let you open up your home to fresh air while keeping bugs and debris out. Rips and tears in the mesh, or bent screen frames, defeat that purpose. Walker said you can do some minor repairs on your own. Inexpensive patch kits available at home improvement stores include small pieces of mesh that grab around holes and close them up. Pieces of household tape can cover up tiny tears. Neither option is attractive, Walker adds, but they can serve as quick fixes in otherwise good screens. Repaint wooden screen frames if needed. Paint will help seal the wood and keep it from warping. 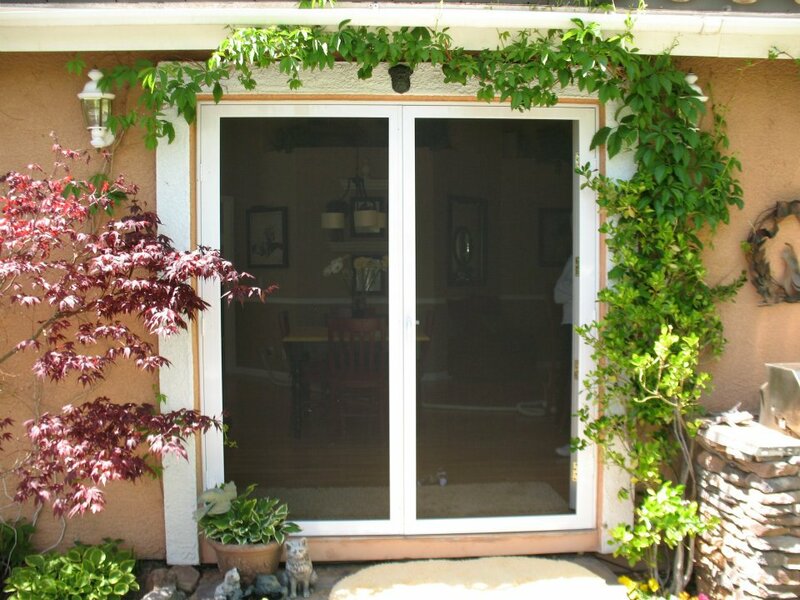 Children and pets can be especially tough on screens and screen doors. Pet screens can be mounted on sliding screen doors for easy access for pets that enjoy the outdoors. For those who might have used an elbow to keep a swinging screen door from closing too quickly, there’s a better option that won’t cost you a repair. Check the top of your door for a piston mechanism that you can turn and increase the pressure, to make the door close more slowly. To keep window screens and doors sliding smoothly, Walker suggests skipping oil-based lubricants and instead using a silicone-based lubricant, such as furniture polish. If you have the storage space, cleaning screens in the fall and then storing them away during the winter can extend their life, experts say. If a screen has large or multiple holes, or if its frame is bent or broken, then it’s time for a new one. “Our rule of thumb is that if the frame doesn’t seal up against the window, then the bugs can come around there, so you’d need to replace it,” Walker said. Fiberglass screens, which have a vinyl coating, will begin to show white strands, which means “there is virtually no integrity” left in the screen, he adds. If you’re switching screens, consider a charcoal color for better visibility. Fine-mesh screens can block small bugs and improve your view. The screens are made of super-fine strands so homeowners see less screen and more scenery. Other new products include strong pet screens that cats can climb without tearing and retractable screen doors that are mounted on doorjambs so they’re hidden when homeowners don’t need them. 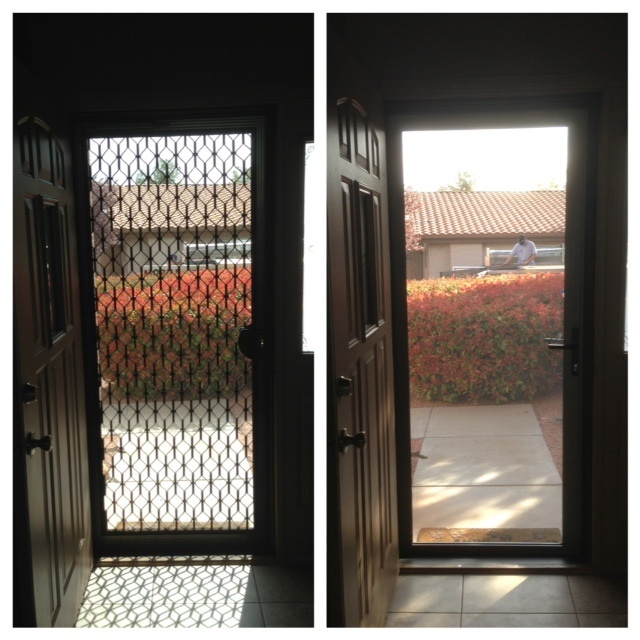 Homeowners will also start seeing strong, stainless steel screens on the market that offer some security. 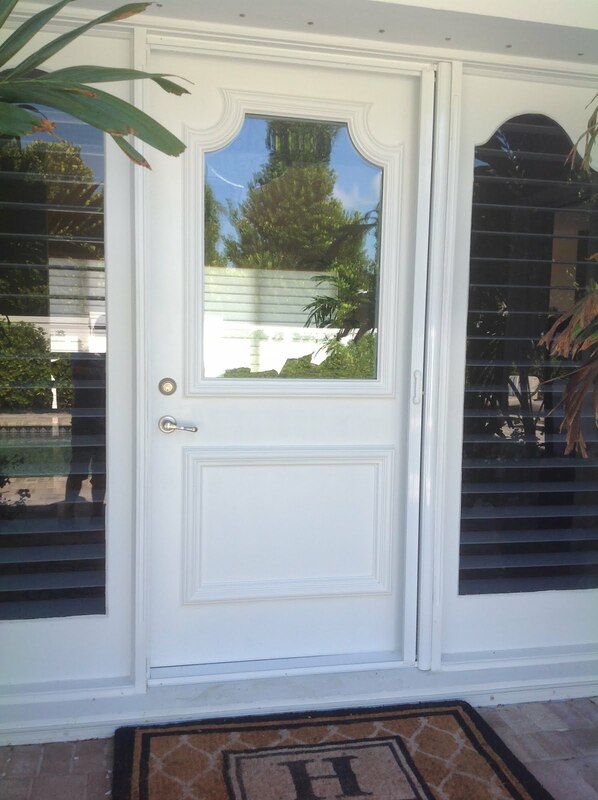 “You get the look of a screen door, but the benefits of a security door,” said Walker. It's definitely a good idea to refurbish and replace any old window screens around the house. While you're there, one should also take a look at the house trim, and see if it needs any fixing. In an article I wrote at http://www.peninsulamobilescreens.com/window-or-door-repair/refurbish-house-trim-screens/ , I go over some of the details of fixing up window screens, and the trim around them as well!